One of Vietnam’s fastest growing beach resorts now has a brand-name golf course to support its already impressive tourism credentials. The Greg Norman-designed KN Golf Links opened in Cam Ranh, a beautiful beach destination where more than 30 hospitality projects have either gone up or broken ground along Long Beach in just the last couple of years. But most of the conversation during the opening revolved around the Links Course, which maximizes the rolling contours of the land exemplified by spectacular sand dunes. It boasts firm fast-releasing fairways, ample run-off areas around the greens and massive boulders, some of which form a striking backdrop to the par-5 17th hole. The Links Course at KN Golf Links is reminiscent of both The Bluffs and The Dunes in that it weaves through rugged coastal terrain and offers spectacular sea views from various spots. The Oasis Course offers a contrasting but also compelling test, with a plethora of water features making for some challenging play. 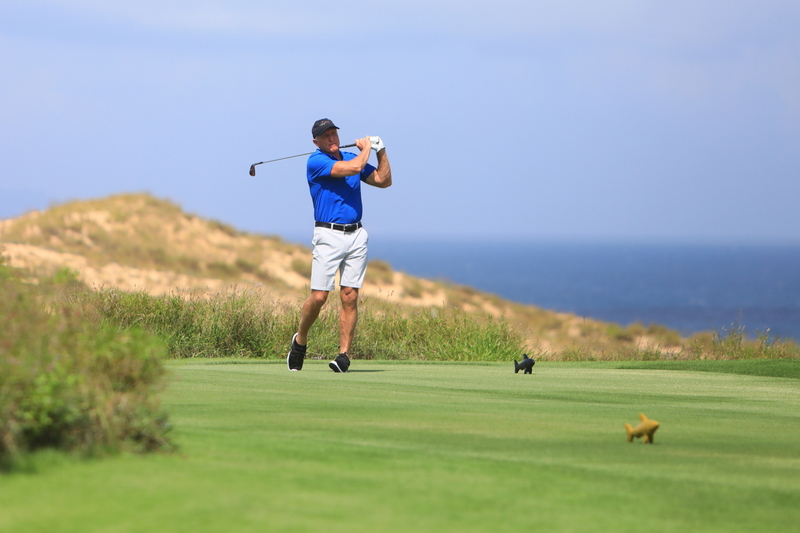 Located less than an hour by air from Ho Chi Minh and a five-minute drive from the recently expanded Cam Ranh International Airport, KN Golf Links is the first golf course in Cam Ranh and the third in the greater Nha Trang area. Amenities include a secluded driving range with an instruction studio and 24 bays that face another eye-catching collection of gigantic rocks, and a three-story clubhouse that overlooks the ocean and three small islands about 10 kilometers offshore. See latest HD Video Interviews, Podcasts and other news regarding: Golf.